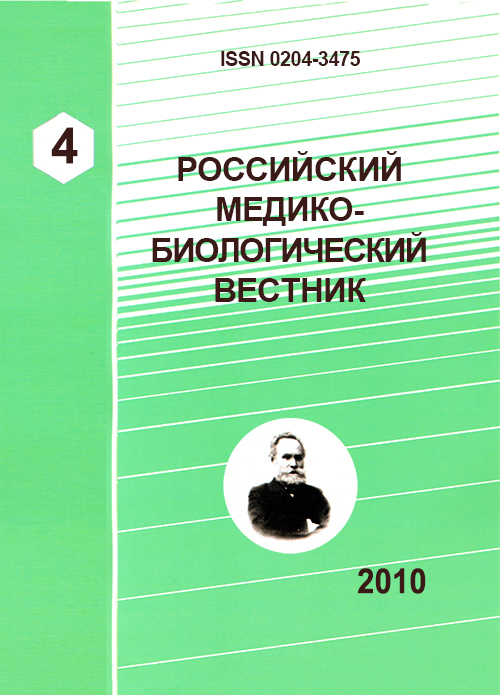 Authors: Uzbekov M.G., Alferova V.V., Misionzhnik E.Y., Gekht A.B., Uzbekov M.G., Alferova V.V., Gekht A.B., Misionzhnik E.Y. Pathochemical and compensatory metabolic reactions were investigated in 30 patients with acute ischemic stroke. There were estimated blood concentration of malone dialdehyde and middle-mass endotoxic molecules and semicarbozide-sensitive amine oxidae activity. On the 5-7th days of the disease there were revealed significant increase of malone dialdehyde and middle-mass endotoxic molecules concentrations. In is possible to suppose that simultaneous changes of system semicarbozide-sensitive amine oxidae activity/ malone dialdehyde as a compensatory reaction directed to the support of metabolic homeostasis. activity of monoamine oxidase (MAO), an ischemic stroke. Волошина О.Н. Метод определения активности тромбоцитарной моноаминоксидазы. /Волошина О.Н., Москвитина Т.А. // Лаб. дело. 1985. № 5- С. 289-291. Гусев, Е. И. Ишемия головного мозга / Е. И. Гусев, В. И. Скворцова. - М.: Медицина, 2001. - С. 13-14. Узбеков, М. Г. Неспецифический синдром эндогенной интоксикации как интегральный компонент патогенеза психических расстройств. / Узбеков, М. Г., Мисионжник Э. Ю. // Рос психиат журн. - 2000. - № 4. - С. 56-65. Узбеков М.Г. Нарушение активности моноаминоксидазы и показателей эндогенной интоксикации больных с первым эпизодом шизофрении. / Узбеков, М. Г., Мисионжник Э. Ю., Шмуклер А.Б., и др. // Журн неврол и психиат. - 2009. - № 5. - С. 173-178. Brott, T.G. Urgent therapy for stroke, I: Pilot study of tissue plasminogen activator administered within 90 minutes. / Brott, T.G. // Stroke. - 1992. - № 23. - Р. 632-640. Chen K. Sequential neuronal and astrocytic changes after transient middle cerebral artery occlusion in the rat./Chen H., Chopp M., Schultz L. // J. Neurotoxicol. - 2004. - №25. - Р. 31-36. Frankel M. R. Predicting prognosis after stroke: a placebo group analysis from the National Institute of Neurological Disorders and Stroke rt-PA Stroke Trial. /Frankel M. R , Morgenstern L. B., Kwiatkowski T., et al. // Neurology. - 2000. - №55. - Р. 952-959. Mahoney F. Functional evaluation: the Barthel Index/ Mahoney F., Barthel D.// MD State Med. J. 1965.- № 14- Р. 61-65. Stahi S.M. The human platelets. A diagnostic and research tool for the stady of biogene amines in psychiatric and neurological disordes./ . Stahi S.M. // Arch Gen Psychiat.- 1977.-№ 34-Р. 509-517. Copyright (c) 2010 Uzbekov M.G., Alferova V.V., Misionzhnik E.Y., Gekht A.B., Uzbekov M.G., Alferova V.V., Gekht A.B., Misionzhnik E.Y.